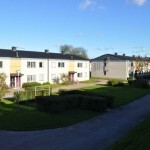 Looking to rent a room on Väktargatan? 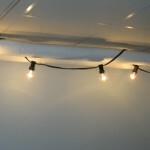 Tenants on Väktargatan have access to guestroom, party room and sauna, photo lab. 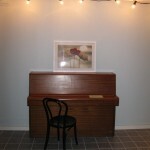 Find out more about the rooms or browse the photos. There are 5 guest rooms with access to toilet and pentry. (Shower and sauna in separate a building). You can book the guestrooms for a maximum of two weeks. 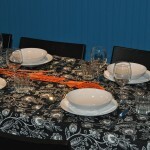 Book online or contact the guest room manager . 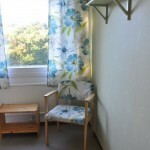 Rent: 75 SEK/room per night, 400 SEK/week, key deposit SEK. Booking: online or contact the guest room manager. 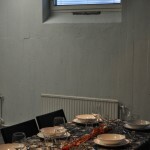 The party room fits 30 persons and is located at Väktargatan 62, beneath the Laundry room. Fully equipped kitchen with utensils dishwasher, stove, oven. Fold-able tables, chairs, stereo & WiFi. 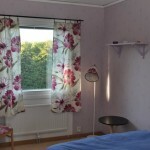 Rent is 300 SEK Friday, Saturday, Sunday and Holidays, otherwise 150 SEK per day. Deposit 500 SEK. Ask for access online or contact the guest room manager . 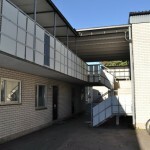 We have one sauna with showers and a dressing room at Väktargatan 62. Key-tag costs 50 SEK, no additional rent. 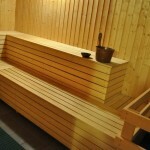 Just sign the booking schedule outside the sauna you want to use. Fully equipped old school dark room for black & white development. Everyone pays for their own development liquids and paper. 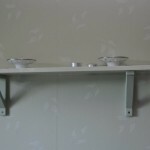 500 SEK deposit.